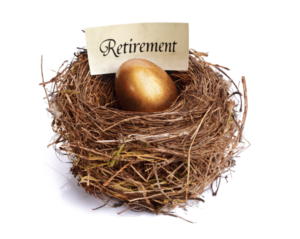 Gray Jay offers flat fee preparation of QDROs and DROs, and we also offer hourly consulting services to ensure that people are educated about their options for retirement accounts, and their agreements contain the necessary language for the proper division of a retirement account. For hourly consulting our rate is $400 per hour. We can come to your location or meet in our office (or via telephone or Zoom video meeting). It usually takes 1-2 hours for a full education/consulting session on the options available with your specific retirement plans. To hire us for consulting you can call  508.293.4011 or contact us online. To request a QDRO or DRO preparation follow the 3 Simple Steps outlined on our QDROs page. Basic Option – Cost: $500.00 – Preparation of QDRO only. Does not include any additional documents or assistance. If you choose this option, you will be responsible for: submitting the QDRO for preapproval to the plan administrator, drafting and submitting any necessary court paperwrok, and submitting the final document to the plan administrator. This option is best if you are working with local attorneys who will walk you through these steps. Basic Plus Option – Cost: $750.00 – Preparation of all QDRO Documents and pre-approval: Includes preparation of the QDRO, Joint Motion to Approve QDRO and submission to plan administrator for pre-approval. Does not include any assistance with court filings. If you choose this option, you will be responsible for: submitting the QDRO document to the court and then to the plan administrator yourself, once approved. Premium Option – Cost $1,000.00 – Full Service: Preparation of QDRO, Joint Motion to Approve QDRO and submission to plan administrator for pre-approval. Once the QDRO is pre-approved our office will assist with obtaining everyone’s signatures, assist you with submitting the documents to the court for the Judge’s signature and then submit the document to the plan administrator for implementation. This option is best if you want us to help walk you through the process start to finish.